Recommended areas for treatment are typically: abdomen, flanks, hips, thighs and buttocks. Radio Frequency is an advanced anti-ageing skin tightening technology for face and body. It is fantastic for smoothing of fine lines and wrinkles for the face and body and can treat the forehead ‘crow’s feet’ upper lip, jowls and neck area, as well as on the body such as the abdomen and arms. A course of 8 treatments is recommended. Eliminate Fat the Easy Way! Now it’s easy to get rid of those love handles, post-pregnancy pooch, flabby backs & arms and loose inner & outer thighs and calves comfortably, conveniently and safely. 3D- Cavitation Cavitation is body sculpting with no anaesthesia, no scars, no discomfort, no downtime and presents a risk free alternative to liposuction. Cavitation is based on low frequency ultrasound. 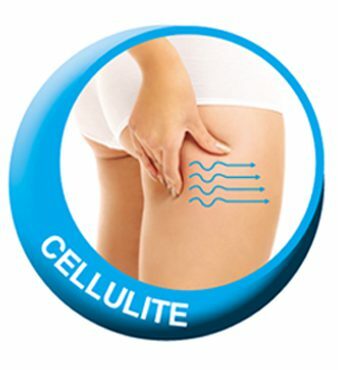 The ultrasound produces a strong wave of pressure to fat cell membranes. A fat cell cannot withstand this pressure and therefore disintegrates into a liquid state. A course of 8 treatments recommended. 3D- Cryo Freeze 3D-cryo freeze is a unique non-invasive treatment using a combination of electro and cryo therapy. Using the 3D-cryofreeze handpiece, this creates vacuum which draws the fat into the handpiece. 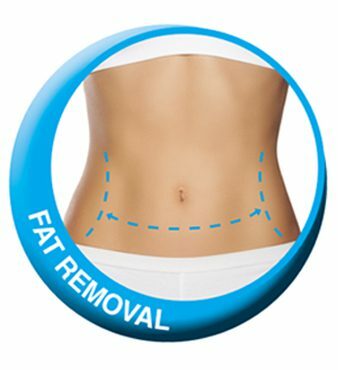 3D-cryofreeze targets specifically the fat cells. By lowering the temperature to -6 degrees it pinpoints the content of the fat cells, causing them to crystalize. The remaining content of the fat cells is then disposed of naturally through the body’s lymphatic system. 3D – Shockwave 3D-shockwave can be performed on many areas of the body including the outer and inner thighs, knees, arms, hips, buttocks, and stomach to Best for stubborn pockets of fat and cellulite. A course of 8 treatments individual 30 minute sessions is recommended.